Does going to the bathroom feel more boring than usual lately? Not to worry; we have the solution your toilet has been waiting for. 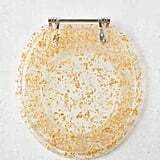 On a recent scroll through Urban Outfitters' home department, we discovered this Gold-Flecked Toilet Seat ($69-$79) and nearly stopped in our tracks. 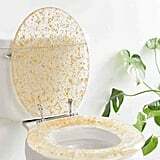 The gold-flaked plastic seat will take your bathroom experience to a whole new level of glam. It comes in two different sizes, so you can figure out which one you need by measuring the length of your current seat. 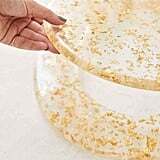 It comes with hardware so you can simply set it up yourself within minutes. So, what are you waiting for? 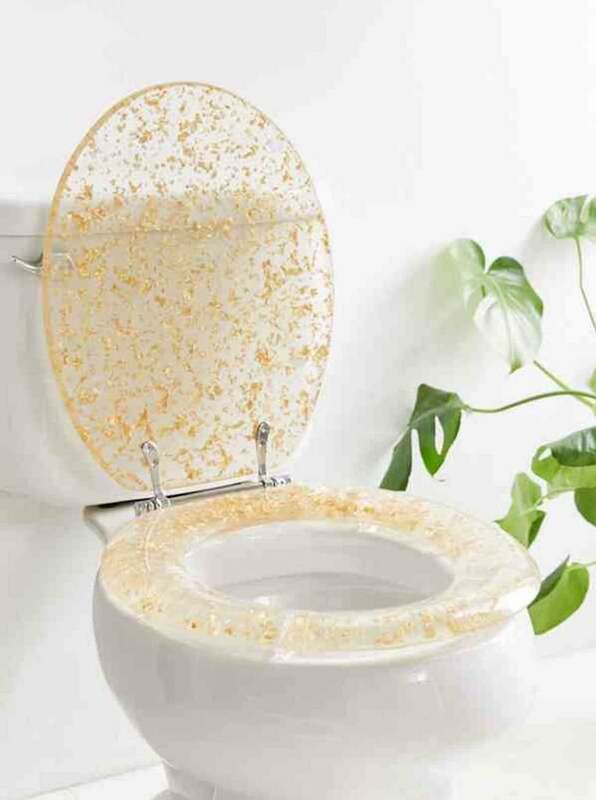 You shouldn't have to use another simple porcelain seat again, because you deserve to be throned on gold glitter.